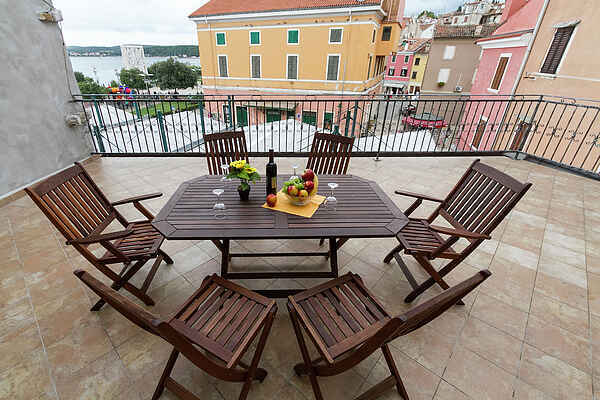 Offers you a terrace with a unique view of the glasklare sea and the beautiful city. The apartment has 2 bedrooms, one with single bed and one with double bed. There is also a fully equipped kitchen with a sofa bed and a large dining table. A small bathroom with shower, W-LAN and air conditioning are also available. Ideal for a family of five.